With various innovative brands, technology and fantastic marketing campaigns, the fashion industry is dynamic and really exciting. However, it is also the second largest contributor to pollution in the world after oil. A staggering 25% of the world’s chemicals are used just for textile production. And around 10% of the world’s global carbon emissions come from the apparel and textile industry. The toxicity of just creating one t-shirt or piece of apparel is really damaging, and your favorite fast fashion brands do not want you to know about it. Let’s dive into how Fast Fashion has created this alarming demand. 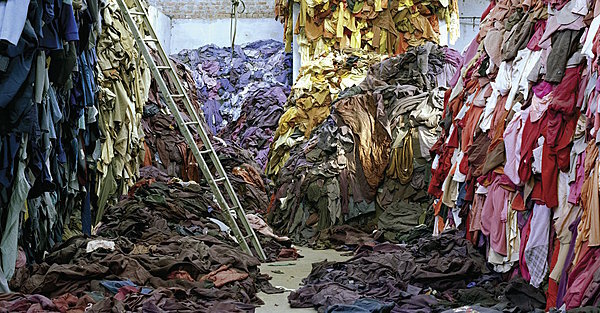 In general, textile waste has been dubbed an unintended consequence of fast fashion. This happens because people are buying more clothes (4 times more compared to 40 years ago) than they need, and are throwing them away after a wearing them a few times. In a recent study in the UK, it is estimated that a person living there will accumulate in the region of 28kg of clothing – adding up to an estimated 1.72m tonnes of brand-new fashion being consumed on an annual basis. And the alarming fact is that most of those purchases will end up being thrown away, ending up in a landfill. 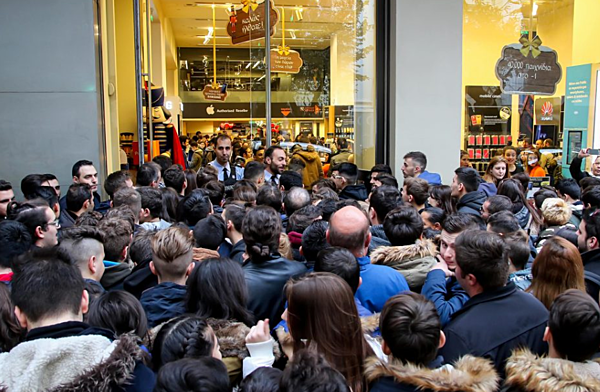 And with the rise of E-commerce as well as marketing campaigns such as Black Friday, Singles Day and the likes, the consumption rate is predicted to only get higher. the consumption rate, our at how fast we're dumping out favorite pair of jeans. And Melinda bring it down to the generational gap in attitudes towards "value". She says the low cost and easy accessibility of fast fashion has made it easier to discard things: And we can see that the attachment to an item is lost as soon as a new shiny product comes by on social media feeds or billboard. All those amazing, vibrant prints and fabric finishes are the best part about your new fashion garments. But you should know that they can only be achieved with the toxic chemicals. 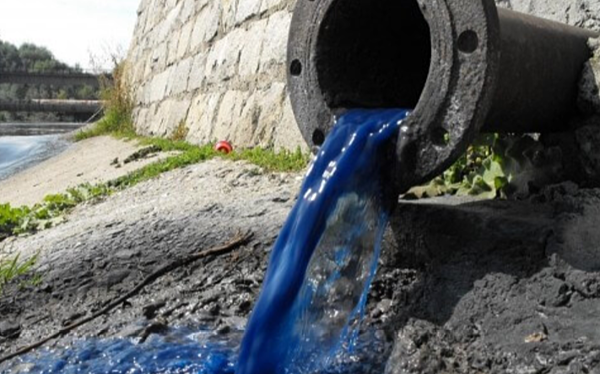 Textile dyeing is the second largest polluter of clean water in the world, second only to agriculture. 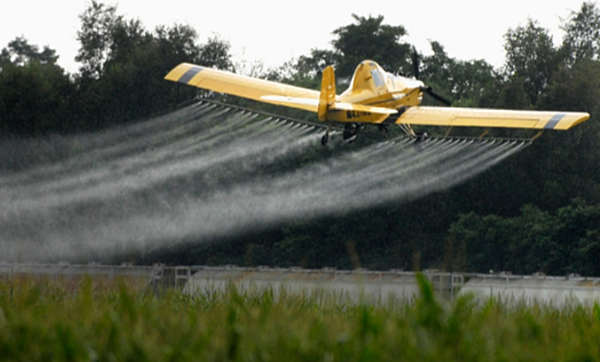 These chemicals will affect clean water in rivers, lakes and even the ocean. These affected water ports will then affect the people living nearby. According to a lot of the documentaries, the poor people that live closeby are affected physically. Some of them get cancer, some of them get affected by incurable skin diseases and the worst of all is when the children born are defected in some way. Just looking at some research done by Dr Pritpal Singh in India, he reported a dramatic rise in the number of birth defects, cancers as well as mental and physical disabilities in the region. With the rising competition between all fashion houses, most of the factories are compromising in safety features to meet bottom lines and a lot of people are not being given proper working conditions. We are also then reminded about how compromising safety has resulted in the 2013 Rana Plaza Factory collapse where over 1000 cheap labor workers died in Bangladesh working under incredibly inhumane conditions. This is all for your $15 pair of jeans. Another huge problem is the amount of clothes that are in our landfills. It has been turning into a big problem because we are actually running out of space! Consumers throw everything from clothes, shoes and bags into the trash. The current number is 70 pounds per person annually! People do not know how to recycle or simply choose not to recycle. 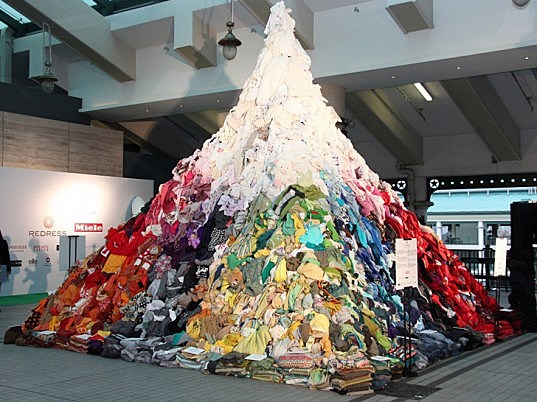 This picture below shows us how many textile waste Hong Kong has each day! However, there are many things that we can do to help improve this situation. If we all come together to help, we will be able to slow down the pollution and sooner or later improve the state of our landfills. This is extremely important as the labels will tell you where the clothes come from and what kind of materials are used to make them. Look for materials like organic cotton, bamboo cotton or linen. Anything that did not need a lot of processing and treating. The more treating, the more pollution it creates. Always think twice before you buy another pair of jeans. Only buy clothing that you really need. Also make sure that they are of good quality so that it can be used for a much longer period rather than something that will falter after 3 washes. Unless the clothes are completely tattered, you should always either donate or recycle the clothes. Donating would be a noble thing to do as you would be helping someone in need. Recycling is also great and sometimes you can also sell them and get some money back. Platforms like Carousell will help you with that.